How could spending time at Horses Helping People help you? Therapeutic horsemanship has many benefits, improving mental and physical wellbeing in a number of ways. It can help people from all kinds of backgrounds, including those that are usually hard to engage. Here are some of the ways it can help…. 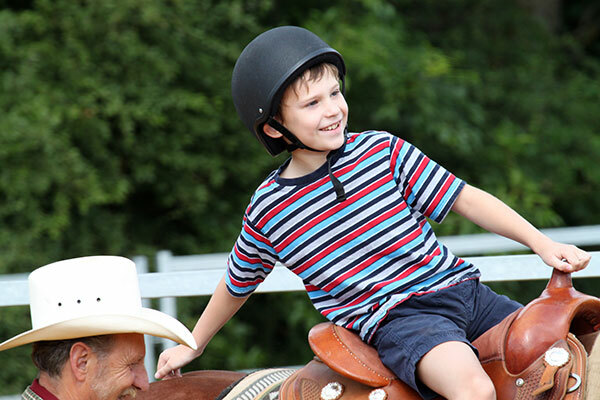 Interacting with horses provides plenty of opportunities to explore, learn and grow. Overcoming obstacles and facing fears, whether small or large, contribute to a sense of achievement. If you can manoeuvre half a ton of horse you feel you can do anything! The reactions of the horses helps to highlight how we react when faced with different situations, giving us greater self awareness and the chance to explore different behaviour. With growing confidence comes improved self esteem, enhanced by discovering our individual strengths. Building a partnership with a horse allows us to practice the skills we need for building relationships with other people. This includes trust, empathy, negotiation, compromise and boundary setting. 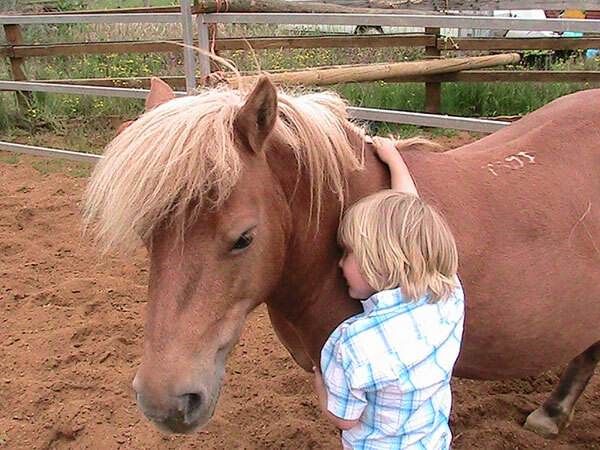 People are often more willing to engage in a non verbal relationship with a horse. The reward of getting a horse to understand you is a motivation to develop better communication skills. Horses give us the opportunity to experience non-demanding physical contact. Just being around horses and stroking them can reduce stress levels and increase a sense of wellbeing. A calm and peaceful environment helps to decrease anxiety. Working with a horse on the ground develops body awareness and coordination. Groundwork and riding use both sides of the body, as well as different parts of the body simultaneously, requiring balance and precision. As a prey animal, a horse is acutely aware of its surroundings and responds instinctively to changes in its environment, demanding that humans remain focused and ready to react, while staying calm. Activities with the horses involve exercise without being forced to go to the gym! The responsibility of caring for a horse, and putting its needs first, encourages nurturing skills and self discipline. 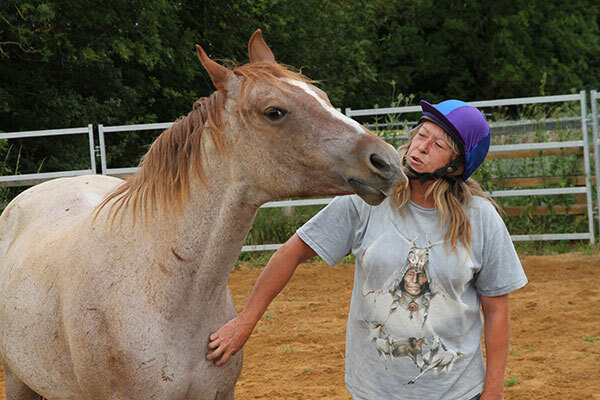 United by looking after the horses, participants begin to look after each other and themselves. Many of the activities encourage teamwork to get tasks completed. Participants learn in a supportive atmosphere, giving them the confidence to achieve beyond their expectations. Time spent in an enjoyable activity can help to increase wellbeing. This can continue beyond the stableyard, as people enjoy their new interest through books, films, artwork etc at home, or by being inspired to start a new hobby or voluntary role. Spending time in an outdoor environment brings a sense of peace and connection with the natural world, which many people find themselves increasingly removed from with the stresses of modern living. Learning about the horses brings an awareness of the environment and our role as caretaker. These benefits and skills can help people with the challenges of everyday life, coping better with social situations including school and work, and in relationships. Read our case studies to see real life examples of how our horses have helped people.